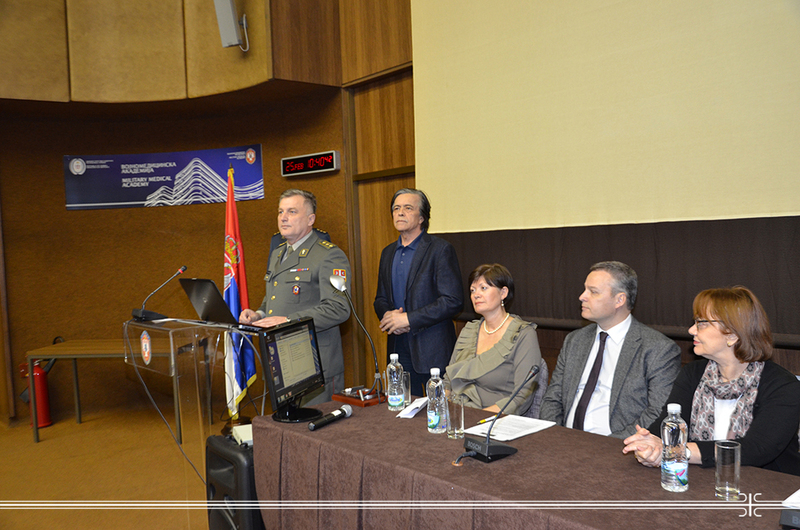 Meeting of the Pediatric, Perinatology and Pediatric Surgery Section of the Serbian Medical Society, organized by the Children's Department of the Specialist Outpatient Clinic MMA was held at the Military Medical Academy. MMA Acting Head Col. Prof. Dr. Miroslav Vukosavljevic in his introductory address said that pediatrics at MMA has been in existence for 68 years and that in addition to treatment and preventive examinations for 6,500 children - children of the military insured - it performs consultative examinations for hospitalized patients at MMA, as well as for all other children of the military insured from the territory of the Republic of Serbia, who are referred to MMA. He emphasized that the Children’s Department has also the role of advising parents about the best possible and healthiest way of raising and educating their children. Professor Vukosavljevic welcomed the lecturers at 15th meeting of Pediatric Section at MMA coming from the Academy of Medical Sciences of the SMA, University Children’s Hospital, Institute of Health Protection of Children and Youth from Belgrade, the Children and Youth Health Protection Institute of Vojvodina in Novi Sad, as well as Institute of Neonatology. He pointed out that the MMA highly appreciates the excellent cooperation with those institutions. He especially thanked the Head of the Children’s Department MMA, Dr. Ljiljana Lisov Gazivoda, for no matter of her everyday dedicated and demanding work with the youngest patients she does not neglect educational activities necessary for the progress of each branch of medicine. As he said, thanks to the efforts of the Defence Minister Zoran Djordjevic and MMA Management the problem regarding pediatric staff recruitment would be solved soon what is particularly important when it is known that 39 737 examinations were done last year out of which 34 218 pediatric examinations. Lectures encompassed current pediatric-surgery topics and besides lecturers from the above mentioned institutions, a lecture was held by a member from the National Poison Control Center MMA. It was discussed about poisoning management in children, diagnosis and advice for a painful hip in the primary pediatric practice, the importance of omega 3 fatty acids, algorithms in necrotizing enterocolitis, and the significance of biomarkers in early diagnosis of bacterial infections in newborns, as well as physiological and pathological conditions of child’s preputium.